The Big Run – June 5, 2019 | NC Race Timing and Running Events | Go Time! Be a part of something Big. 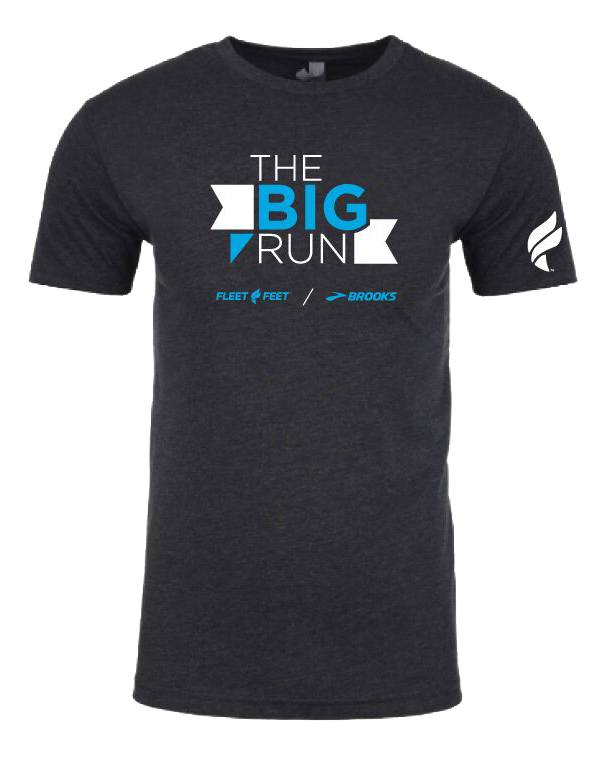 For the third year, Fleet Feet and Brooks will come together on June 5 to host The Big Run. The annual nationwide 5K brings thousands of runners together on Global Running Day to do what we love most—run. Last year, 16,000 runners logged 25,000 miles at more than 100 events in more than 20 states. Help top that number this year. Why? Because we want to bring running to our community; we want more people to set goals and meet them; we want more people to experience that feeling of accomplishment as they cross the finish line. Because running changes everything. There will be post-race beer, water, popsicle, and food along with cold towels to cool you down! The Big Run here in Wilmington, NC will benefit the Without Limits Youth Cross Country Camp scholarship fund to send kids to camp. The camp is based out of Banner Elk, NC and is a week full of adventure, friendship, and running for youth entering 5th through 12th grade. Click Here to find out more about the WOL Youth Cross Country Camp. The Big Run, and be entered into a drawing for something BIG! middle of all The Big Run results will be recognized. in the post to be eligible! Race Shirts will be guaranteed to participants who register by 11:59 PM on Friday, May 17th, 2019. The shirts are available in Youth S-L and Adult Unisex XS-XXL cut sizes, and are made of a Cotton/Polyester blend. MEDALS: All finishers will receive a Medal! Starting at Shelter #6 in Hugh MacRae Park. The Hunger Run 5K will be a marked, open, mostly flat course, with volunteer crossing guards placed at select intersections. 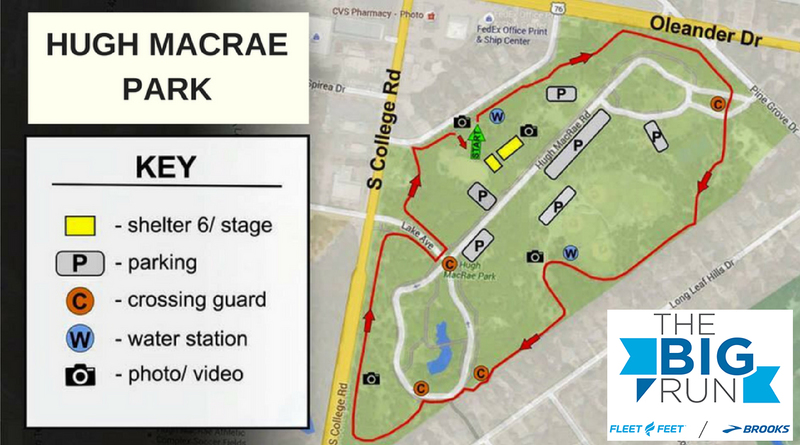 The course follows the walking path through Hugh MacRae Park, and will give beautiful sighting of the spring flowers in bloom and the park’s ponds. This race course is also stroller friendly! Parking will be available around Hugh MacRae Park in designated lots, as well as overflow grass parking. Want to Volunteer or Sponor?